Did you know ADD and ADHD diagnosis are skyrocketing? In the last few years alone they have increased by over 28%. Often we are quick to diagnose a child's behavioral problems as ADD and ADHD. However, sometimes there could be something else actually at play that is worth exploring. Today we’re spreading awareness on a unique and special topic, Fetal Alcohol Spectrum Disorder (FASD) with Dr. Christina Chambers. She is a Professor in the Department of Pediatrics, and Family and Preventative Medicine at the University of California, San Diego School of Medicine, and co-Director of the Center for Better Beginnings. In today’s episode, we discuss the growing research on FASD and how it is prevented, diagnosed, and treated. FASD affects an estimated 40,000 infants each year. Dr. David W. Smith and Dr. Kenneth Lyons Jones (who work closely with Dr. Chambers) coined the term, “Fetal Alcohol Syndrome” in 1973. Fetal Alcohol Spectrum Disorder is the leading (preventable) cause of congenital and intellectual disabilities. This is not Fetal Alcohol Syndrome, but a less severe, spectrum disorder that presents much like ADD/ADHD. The affected person has a hard time sitting still, paying attention, and understanding complicated topics. FASD takes it a step further because it cannot be treated the same way ADD can. A person affected with FASD has a terrible time with executive function (following through), and cannot understand abstract topics or directions. For example, you cannot tell an FASD affected person to “behave”. It’s too nebulous for them to understand. You must break down the steps. For example, stop fidgeting, put your pencil down, and make eye contact. Since I was recently pregnant and published a book on fertility and prenatal health, I was especially interested in exploring this topic and sharing it with you in the most non-judgmental way possible. (Because again, it’s a sensitive topic for mamas and the children we grow, love, and protect with all of our hearts). Because FASD looks and acts like ADD/ADHD but cannot be resolved or overcame the same way, I do not want this population to fall to the wayside and be treated in a way that does not allow them to grow, given their cognitive needs are different. This is why I brought Dr. Chambers on the show. Dr. Chambers has been researching and completing studies around FASD for years, most recently, she and her team have looked at how to diagnosis and treat FASD. In their latest research, Dr. Chambers looked at the prevalence of FASD amongst different communities within the United States (a total of over 3,000 children). Their results showed that between 1 to 5 percent of first-grade children (a combination of public and private schools) fit somewhere on the spectrum of fetal alcohol disorders. How is FASD diagnosed? FASD is commonly undiagnosed or misdiagnosed as Attention Deficit Disorder (ADD) or Attention Deficit Hyperactivity Disorder (ADHD). The primary diagnosis is based on physical features (only a small percentage of those affected have the physical traits), growth deficiencies, and intellectual and behavioral impairment. The Institute of Medicine has said that all of the substances of abuse (including cocaine, marijuana, and heroin), alcohol produces by far the most serious neurobehavioral effects in the fetus. While the mechanism of action is not completely understood yet (although Dr. Chambers and her team are researching this), we do see the obvious effects of alcohol on the baby. Because an ounce of prevention is worth a pound of cure, let’s start with what we can do during our preconception period. Limit/Eliminate Alcohol: If you are expecting or trying to get pregnant, FASD is 100% preventable through avoiding alcohol consumption completely. Preconception Cleanse: When writing my book, How to Conceive Naturally and Have a Healthy Pregnancy Over 30, I researched extensively on how to prepare for pregnancy and the healthiest way to conceive. With my thorough research on fertility and prenatal health, I recommend a 3-month (90-day) preconception cleanse. Instead of the traditional three-trimester approach, we take a five-trimester approach (preconception being trimester one and postpartum being trimester 5). This allows both the mother and father to balance their bodies and prepare for a healthy and vibrant pregnancy. During a preconception cleanse, it is essential to provide the body with necessary vitamins and nutrients for both mom and baby as well. Prenatal Support: Dr. Chambers discussed the importance of proper vitamins and minerals, as you know, we are huge believers in taking prenatal vitamins for at least 30-60 days pre-pregnancy. I recommend a prenatal vitamin (which includes food-based folate not folic acid – which is highly protective against neural tube defects). Animal studies have suggested the importance of zinc and iron as well. In her research, Dr. Chambers used a multimineral prenatal vitamin; this is one of our favorite prenatal supplements. Healthy Swaps: Eliminating genetically modified foods (GMOs), sugar, refined foods, soy, and gluten can all be helpful during preconception. If you think you are expecting or actively trying to get pregnant, try swapping out cocktails for mocktails and get used to not drinking alcohol. Check out this blog where we explore healthy non-alcoholic drinks which are super tasty and great alternatives when you're a mom to be. Diagnosis: The first step is a proper diagnosis, the earlier you can find out the diagnosis, the best treatment can be provided. See an FASD evaluator/counselor. Behavioral Intervention can help children modulate their own behavior decisions. Along with therapy, research shows coloring books and mind-stimulating games are helpful for those with FASD to help them overcome learning challenges. Supplemental Support: Several different trials have looked at children’s nutrition and micronutrient levels, one that is especially important is the B vitamin, choline. Omega-3 fatty acids such as fish oil are also helpful for brain development. Breastfeeding: Although there has been limited research on the subject of alcohol consumption and breastfeeding, Dr. Chambers is currently completing a study at UCSD to look at the risk of consuming alcohol while breastfeeding. We often recommend cleansing the breast milk with 1500 mg of chlorella, which I am currently taking daily as I’m breastfeeding my son, Austin. 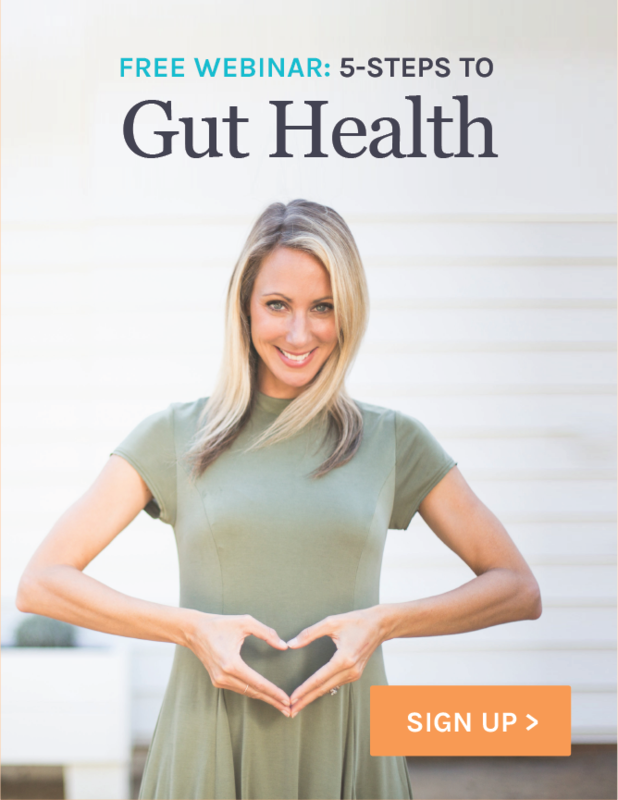 I have done a lot of research on the field of epigenetics when writing my prenatal book and also when developing our microbiome rejuvenation program, Gut Thrive in 5. Epigenetics is the on/off switches of our DNA. Through research, we now know that we are capable of altering our genes and DNA through diet and nutrition. The choices we make will affect not only our immune system and overall health, but also the health of our children and even our grandchildren. Dr. Chambers discussed different ways epigenetics is playing a role in FASD research and treatment. Biomarker Research: Research is starting looking at whether or not a marker can be developed for affected children, based off of their genetic profile. There have been a few pilot studies and definitely more to come. This will be especially helpful where there is no documented prenatal exposure, for example, in adoption. Mother’s Epigenetic Profile: Pilot studies have suggested the possibility of looking at the mother's epigenetic profile during pregnancy to help identify if the child would be at risk for FASD. This is helpful in assisting with diagnosis and treatment of a child with FASD. With the growing field of genetics and epigenetics, we know how different gene mutations, such as the MTHFR genetic mutation (which inhibits methylation, making it hard for our body to convert inactive forms of specific vitamins into their active form) can impact not only a mother's health but also the health of their children. Lastly, Dr. Chambers speaks about Nine Months Matter, which is the new FASD Prevention Campaign local to the San Diego area. Nine Months Matter is an initiative to raise awareness and support around the importance of prenatal alcohol exposure and the effects it can have on a developing baby. To learn more and to support Nine Months Matter, click here. We appreciate Dr. Chambers for joining us and shedding some light on this critical topic. My team and I have learned so much by having Dr. Chambers on the show; we hope you do too. My Mother has FASD. I am so curious about research you may have that i cant find. Understanding my Mom is a priority for me. I want to give her the best life possible so understanding her is key. I would love to get a list of resources for adults with FASD. We have biological brothers we adopted 20 years ago; Now 23/25 and they are failing at life. It is so hard to watch them. Is there anything I can do for them at this point? Could I please have Dr.Chambers email address? did you get with Dr Chambers? I would like to see her for my Mother with FASD. So glad you said you were doing/did HypnoBirthing! As always, all things in moderation. If we can prevent issues in your child’s mental or physical health, long-term, or short-term, why not do it? Congratulations on your son, as well. Immune Dysfunction from infections like strep, mycoplasma, cosackie,HHV-6, and others contribute to ADHD. Blood work is important. Any antibodies over 4 fold should be treated. A Neurospect scan will show impaired blood flow to frontal lobes. A clean diet will help because Glyphosate on grains and GMO food chelates important minerals for cognition and your wonderful reseeding of the gut strengthens the BBB, Blood Brain Barrier. This is important because infections of the sinuses have been shown in mice to cross here via olfactory neurons and change behavior. A great presentation of this last week from Columbia University. I love how you keep us all informed! Is there any research on if babys father drinks alcohol pre conception? There is research that the birth father consuming alcohol can contribute. It’s all related to epigenetics. Also the support the father shows for not drinking alcohol matters too. I’m so glad to hear this because I have wondered that for years.